“As the requirement for strong B2B marketing grows, product management is the cornerstone of assembling true marketing competency. Greg’s book will soon become the must-read reference for all business executives looking to optimize their product portfolios, satisfy customers, and deliver growth.” —John H. Jacko Jr., VP and chief marketing officer, Kennametal Inc. Learn the attributes of effective product managers and the powerful role they must play in a company’s future Many executives and thousands of product managers have benefited from the know-how and insights contained in this book. 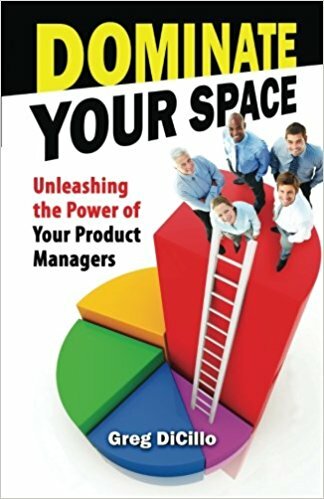 The bottom line is this: to dominate your space in the market, you must unleash the power of good product management. Dominate Your Space is authored by Greg DiCillo, President of Maximal PM. Our comprehensive Product Management Training and Consulting is perfect for industrial and B2B organizations seeking to maximize the success of their product lines. We have provided these services to companies worldwide. Please feel free to explore our services and resources. If you would like to speak with us, we offer a free one-hour consultation to help get you started.